This is a guest post by Wim Rampen a data driven marketer who questions popular customer loyalty myths. Wim shares his thoughts in his blog and tweets at @WimRampen. You should get your guest post submission in now. It takes only 100 words! Pricing is about capturing a Company’s fair share of Customer’s value co-created. Aligning both, to further increase a company’s Customer equity, requires a shift from exchange to use & context based pricing strategies, imo. 1. What’s your point of view wrt pricing and optimizing profits over the Customer’s lifetime? And when/how should one (not) apply such strategies? 2. What’s your point of view on renewal pricing strategies? 3. What’s your point of view on dynamic (customer/context-based) pricing strategies (eg in subscription based business models)? This is a guest post by Gerado A Dada, an excellent data driven business leader I met through my blog. Gerardo has been at the center of the web, mobile, social and cloud revolutions across more than 15 years of driving business strategy and product marketing for leading technology companies including Rackspace, Bazaarvoice and Microsoft. Gerardo is the author of the blog www.theAdaptiveMarketer.com and is on twitter at @gerardodada. Like most people in the US, during Black Friday week my inbox received an onslaught of promotional emails from every company I have done business with. All of them, without exception were promoting sales and discounts. 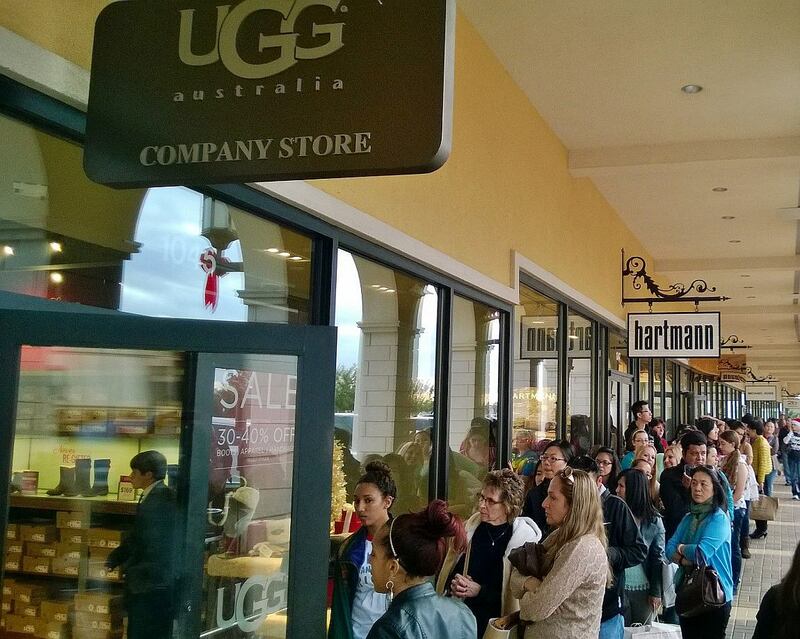 UGG Australia was not offering any significant discounts. Many models were being sold at list price. A few had a small discount. I did not see any pair of boots being sold for under $175. A few feet away, a store had a big sign promoting 60% + an additional 30% discount on everything. You could get a high quality pair of booth for about $50. The other stores with long lines were Coach and Michael Kors. Customers buy based on emotions. How can you explain customers lining up to pay over $450 for a bag made of PVC plastic? (optional picture) – by the way this product was backordered at the time I am writing this post. The value of the product is not in its specifications, quality of the materials, features or benefits. The value is in how it makes customers feel. When you wear UGG boots and a MK bag, you feel like you belong, you feel fashionable, you feel successful. The product is the experience. It’s not the price, or the discount, but the feeling that you are getting a good deal that counts. The shoppers in line felt good, even if they really did not get a good deal. The end price was not as relevant as the feeling that they were getting a good deal. After all, who likes paying list price? Even premium brands need to provide the feeling of offering a good deal. It does not have to be a discount, though: sometimes free shipping, personalization or an accessory could do the trick. All the talk about brands going away? Nonsense. Brands are, and will continue to be, extremely valuable. You can probably get a handbag of similar quality and similar design for 1/10th of the price at Target, yet customers happily stand in line and fork out their hard-earned cash for a brand. My call to action to you: before you start you next price promotion, think about how you can build a brand, an experience, that makes customers feel great, and makes them happy to spend more money with you. I was surprised to read that there are still seven-story apartments in New York that do not have elevators and still rent to people. As you will expect, despite the location, the view and the benefits, these apartments are a bargain to those willing to hike 192 steps to get to their home. Apartments that go for $3500, go for $2000 – all because of no elevator. (a customer) pays $4,900 a month for a one-bedroom apartment on the fourth floor. In the same neighborhood earlier this year, the rent for a fourth-floor one-bedroom at the West Coast, a large doorman building at 95 Horatio Street, was $4,475 a month. Stairs, from being a hassle for some have become the differentiating feature in renting the apartment. It sure adds more credence to the theory that it is customers who decide value and it is the job of marketer to understand that and deliver them a product that delivers them that value. 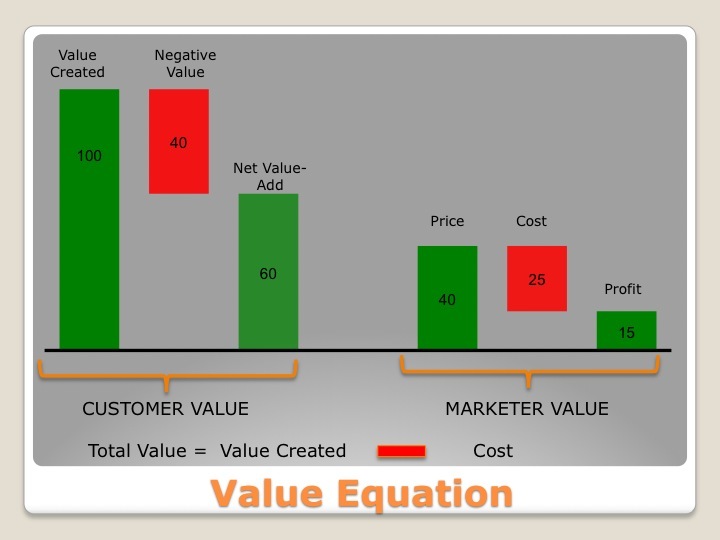 Of course the marketer gets to share that value in the form of better price realization. Ms. Webb: We always were $40 in New York. We tried to keep prices $35 [elsewhere] as long as we could, but you know things go up: rent, health insurance, incentives. There’s just a lot of different things that got more expensive. We had to raise the prices to keep the business model as it was. I am willing to bet that someone as innovative and entrepreneurial like Ms. Webb, one who invented the category getting customers to pay for something they do for free, knows exactly why she raised her prices and is simply saying the best answer one could give to explain price increases. You have seen this done perfectly by Starbucks and repeatedly too. We are increasing prices because …. ( anything but we found out customers value and charge that price). Ms. Webb does just that, citing cost reasons, rent and salaries. I don’t have to repeat that a customer could care less about a marketer’s cost. 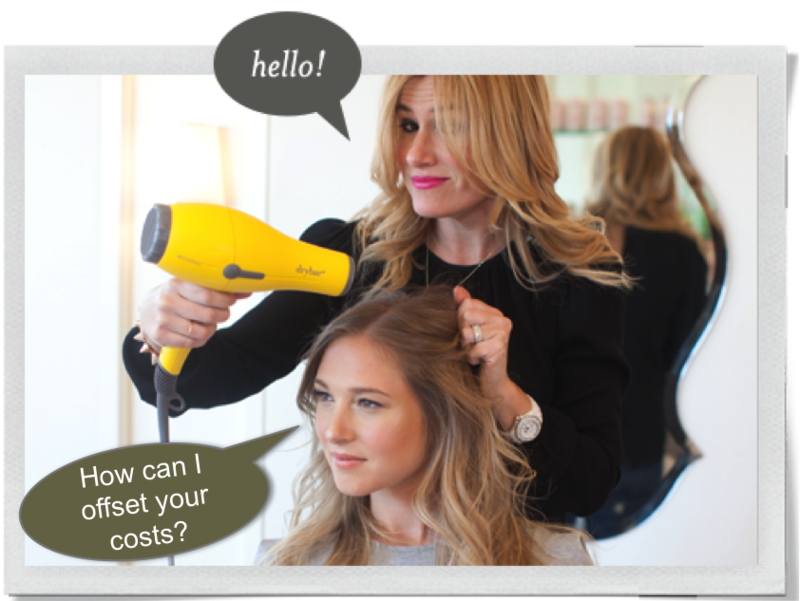 Ms. Webb would be the first to admit that a customer getting their hair blown out does not think about offsetting Drybar’s rent. However using cost reasons to correct your past pricing sins is a perfect tool. It does allay customer concerns and push backs. However what Ms. Webb added in the end is concerning. Again I believe she does not believe that statement. And no business should. You never raise prices to preserve your business model. Because your business model is nothing more than – how do you get your fair share of value you created for the customer. Pricing is the simplest way to capture the value created. If you are increasing prices without increasing value you are simply getting more than fair share of what you created. Such a business model is unstable and will be disrupted. No one can preserve their model, let alone preserve it by raising prices. Someone else will always find a way to deliver customers more value, do it cheaper than you could and share a greater portion of that value with customers that you do. Your option is to do that before others do it to you. Five years back, during the dark days of the Great Recession, we saw the early stages of unbundled pricing. Specifically, airlines seeing considerable drop in passengers and hence revenue per passenger mile, increasing costs and increasing price competition needed a way to stay afloat. The had excess capacity, exhausted their marketing spend, lost the ability to differentiate on the offering and were left with no real option to increase passenger miles flown. So they chose the only choice available to them. Keep the ticket price competitive because customers were making decisions based only on price but separate out everything else that used to be included in the price of ticket and charge for it. Whether unbundling the extras resulted in any cost savings is debatable. 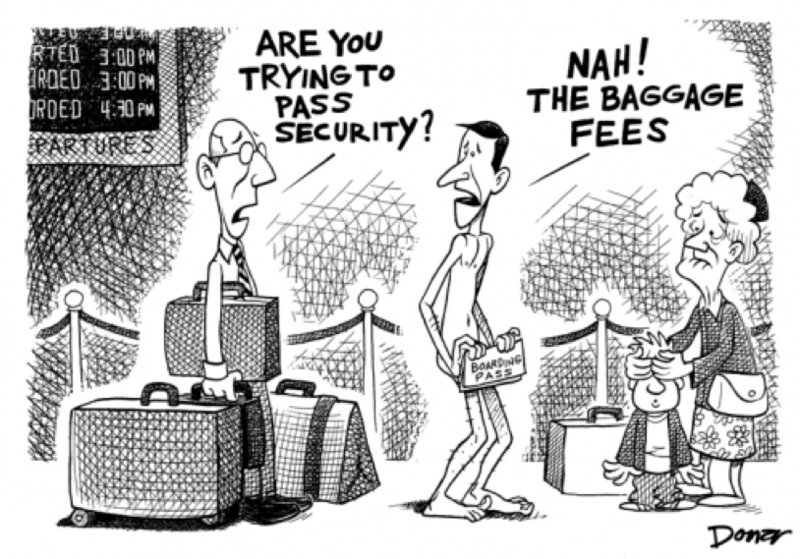 There was a case that each piece of checking baggage had a marginal cost of $15. It is however difficult to see how they can so precisely pin down cost one additional bag checked in. The primary effect of unbundling was not cost reduction but revenue generation. Checkin bags? Need a drink? A pillow? Take out your credit card. Some went even farther, charing for paper ticket, reserving through an operator, or picking seats. Or more recently charging for printing boarding pass at the gate and carryon bags (Frontier). Naturally customer backlash ensued. You may not remember it now but we all felt nickel and dimed paying for extras. That as I explained before was the reference price effect. We don’t feel that way anymore because fees have become the new norm and the reference price has moved from $0. What started out as Nickel and Diming was nothing more than draining the stream to expose the submerged rocks blocking the value flow. There was no clear defensible reason other than convention why all the different extras were included in the price of ticket. For one thing these added costs but as I said before more importantly they represented value capture opportunities. With all inclusive pricing Airlines could not figure out those opportunities. Yes there was backlash and late night talk show jabs. After all jokes are done the fees became a significant source of income (yes almost all of revenue flowed directly to profit to airlines. By the last measure airlines took in $6.1 billion in fees in 2012 and on track to double in 2013. What started out as an irritant to customers and a service restriction has become a significant revenue source. These days airlines have changed their thinking process with regard to monetization. The default is not what additional services will help increase brand value, differentiation and ticket price but what new products we can introduce that will help add yet another revenue source. These days airlines see themselves as product managers – not the type you have in mind, the one worries about details, buttons, bevels – the kind that worries about what customers value and how they can deliver a product that captures that value. “We’re a retailer trying to create a product line,” said Rick Elieson, American’s managing director of digital marketing. After all a product is nothing but a value delivery vehicle. Do customers value the flexibility of changing flights without having to pay change fee? American create a product branded Choice Essential—priced at $68 travelers can change reservation without a fee. If one price is good, two are better. So American also has Choice Plus package, priced at $88 that lets you stand by for a different flight on the same day. Travel a lot and want to save the hassle of paying for bags each time? United makes it easy for you with a product that lets you pay a flat $399 fee for the whole year. Want to get better seats? You have economy plus product. You can also get yearly subscription for $499 without shelling out a fee each time. In essence they have become a retailer or merchant. They are not anymore ripping out roofs in third class train cars (because there is no more roof), they are selling shades and umbrellas to the customers in the roofless cars. They also are selling value added items to those in second class cars. That is what understanding your customers can do for you. Do you enforce takeaways to limit your customer usage or enhancements to create and capture value?